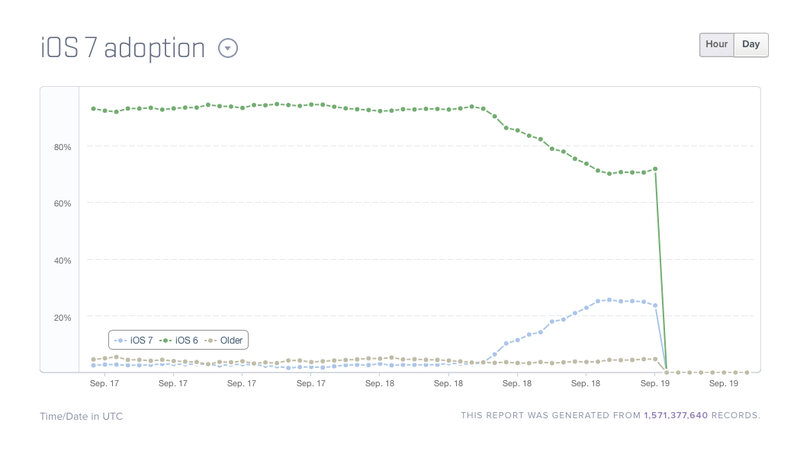 It comes as no surprise to hear that adoption rates for iOS 7 are so far proving to be impressive. In fact, as Cult of Mac observes, the adoption of Apple's new mobile OS overtook that of Android's latest Jelly Bean update after a mere few hours of availability. Mixpanel Trends has an interesting iOS 7 adoption chart, which estimates the number of iOS 7, iOS 6, and pre-iOS 6 users and is updating continuously. As you can see, iOS 7 already stands at 23.6 percent (as of this writing), while the latest version of Google's Jelly Bean is so far said to have been adopted by just 8.5 percent of Android users. 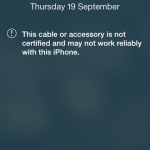 Ahead of iOS 7, most iDevices were running iOS 6, indicating that adoption rates for the seventh iteration of Apple's mobile operating system would be high. For up to date information on iOS 7 adoption, be sure to take a look at Mixpanel Trends' Web page. See also: Piper Jaffray Analyst Expects Apple To Sell 5-6 Million iPhones This Weekend, Extra! Extra! 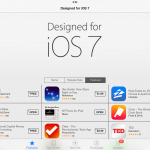 Official New York Times And Huffington Post Apps Get iOS 7 Updates, and Untethered Jailbreak For iOS 6.1.3, iOS 6.1.4 Appears In New Video.